If the contractor for your project tells you something that’s too good to be true, it probably is! Only a small percentage of contractors are bad apples. Those who are will hit you up for a lot of cash while providing little or inadequate work in return. Fortunately, scammers and con artists are pretty easy to spot – as long as your own desire to save money doesn’t blind you to the telltale signs. Another category of contractor you can screen out at the same time is the guy who is basically honest but is not organized enough, solvent enough, hardworking enough or experienced enough to keep your job on track. Although these contractors are sincere, the consequences – broken promises, bad work and busted budgets – are often the same as when you hire someone truly unscrupulous. Remember that scam rhymes with scram, and that’s what bad contractors do. They don’t stick around to finish the job because they are unwilling to make the investment of time and money required to run a legitimate contracting business. The first signs that a company is a fly-by-night outfit are poor personal appearance, shoddy tools, filthy or broken equipment, and vehicles in poor repair. Not every good construction company will have uniforms, new trucks, or the latest cell phones and laptops. But, how a contractor presents himself and takes care of his truck, tools and equipment is a good indication of how well he’ll take care of you and your job. When you are reviewing bids, if a contractor says he will give you a “special low price” that you must keep secret, move on to the next guy. The secret price is either dramatically lower than it should be, and this guy plans to do only some of the work before skipping town; or the bid is dramatically higher than it should be, and he wants to keep you from comparing it with others. The same is true for a bid that comes in far below all the others, such as when you get three bids and two of them are around $5,000 and one is $3,200. The low-bidding contractor either is clueless or he never intends to finish the work. Another scam is to bid low and then start charging you extra for materials you thought were included in the price once the job begins. Finally, pay attention to how carefully the contractor looks at your job before bidding. 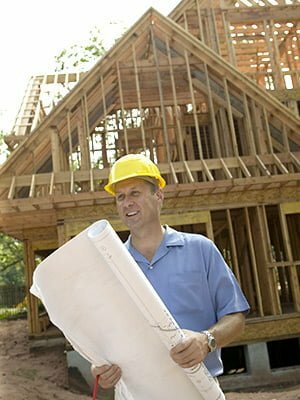 If a bidding contractor just eyeballs the job and says, “Yeah, we did a job just like this and I’ll charge you the same,” or if he doesn’t take notes and measurements and make material and labor calculations, you may be dealing with a contractor who isn’t thorough enough to do a good job. 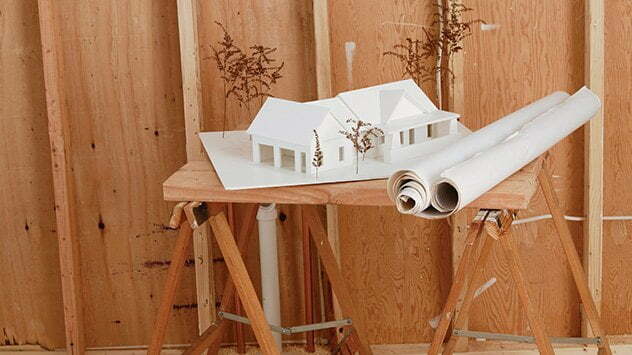 If a contractor claims he’s already got materials he wants to pass along to you at a discount, watch out. Usually, these materials are seconds, ungraded or below-grade minimums for code, or they “fell off a truck.” Small contractors rarely buy in volumes that yield these big discounts, and contractors rarely carry large inventories of material. If they do, they severely misjudged quantities on a previous job, which doesn’t speak well for their estimating skills. Some types of work require a large initial payment from the homeowner because the contractor will have to leave this as a deposit when ordering. This applies to products like cabinets and special-order ceramic tile. It doesn’t apply to commodity materials like roofing and lumber, which are bought “on account” by any legitimate contractor with at least 30 days to pay. Be cautious if a contractor asks for more than 20 percent of the total cost of the job upfront. “I’ll do the job cheaper if you pay me in cash” is another big red flag. A contractor who works on a cash-only basis is probably not paying taxes, and almost certainly not paying for insurance. The same goes for a contractor who wants to get paid each day. Drop him like a hot potato. If your contractor has nothing more than a cell phone and a P.O. Box, check the Better Business Bureau and your state licensing bureau to see if there are any complaints lodged against him. Also, check all his references and visit some recent jobs. A contractor should have an office somewhere, even if it’s a room in his home, and a reference at a local bank and accounts with local suppliers. If a pro pressures you to sign the contract as soon as it is presented and hand over a check right there, resist – and then find a different contractor. In fact, many states require a “cooling-off period” that gives homeowners three days to cancel a home improvement contract – without obligation – after signing it. A contractor’s dirty laundry becomes more evident once the job starts. But many homeowners are reluctant to act on their concerns early, thinking “I already signed the contract,” and “Maybe it will get better.” If you see some of the following signs, act immediately – it will only get worse. If your contractor arrives claiming that materials cost more than he thought and he’ll have to charge you more, stop him at the door: Unless the job is cost-plus, most contracts between you and your contractor are for firm labor and material prices. The contractor has to eat any mistakes he makes due to underbidding. The only time the price should change on a fixed bid is when you initiate and then sign off on a change order that alters the scope of the work. If the contractor violates the terms of the payment schedule by claiming he is running short of money and has to move up a progress payment to an earlier date, insist on sticking to the original terms. In this situation, the contractor probably isn’t managing cash flow well and needs your payment to satisfy past material bills or debts to subcontractors. It’s a common error even honest contractors make, because they touch lots of money, yet relatively little of it is actually theirs. But this is no way to run a construction business. Pay only as you agreed in the contract. 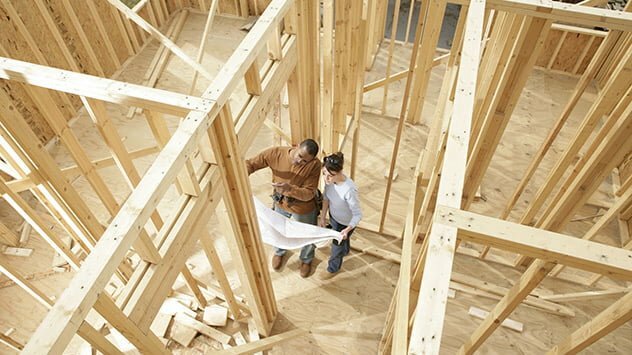 If during one of your walk-through inspections you notice that a different material than is called for in the contract is being used, call the contractor right away. 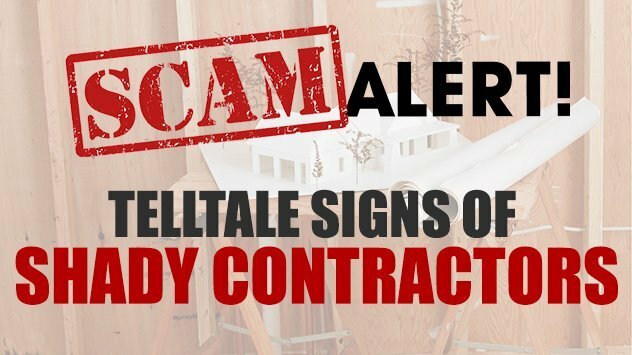 Scam artists will use 3/8-inch plywood where the contract calls for 5/8-inch, or a 2-inch layer of gravel instead of the specified 4-inch layer. This “savings” on materials lines their pockets. If this happens once, it can be an honest mistake or a sloppy subcontractor. But check a few other material specs against the contract or plans, just to make sure. If subcontractors complain directly to you they haven’t been paid, or if the contractor’s material bills aren’t getting paid and you are getting calls, confront your contractor. Your final payment to the contractor should be issued only when you’re entirely satisfied with your punchlist and final walk-through. When you write that last check, even reputable contractors take it as a sign that the job is entirely finished. So, no matter what the sob story, don’t give into the pressure to write this check until you’re satisfied. Suspect you are being scammed? Documentation is the best protection. Keep a job journal – just a few notes each day to show progress and problems. And take pictures of the job at various stages. That way, when walls are closed up, there’s no argument about whether the insulation was added or the wiring updated. If your contractor is clearly being dishonest, bar him from the job site, and report the matter to the Better Business Bureau, the local building inspector and the state attorney general’s office. Contact your lawyer to find out about enforcing the contract, punishing the contractor and seeking redress. You also need to do an article on nut job customers who lie and endlessly try to add extras at the end of a job for free. When you do have a good contractor roll out the red carpet, they’re hard to find. If any of my customers give me any grief they go from the top of the list to the bottom of the list where there’s a hole and they get dropped in the hole and once dropped in that hole I’ve never seen one returned so it’s a 2 Way St. customers have to be protected and so do the contractors. Furthermore, pay your Contractor when you’re supposed to. Money is a yardstick of respect if payday is Friday and you were late with that payment we take a stress day. If you don’t pay me Friday when you’re supposed to that means you didn’t respect the work I did Monday Tuesday Wednesday Thursday and Friday.